I’ve done more eating out than cooking lately, so I’m going to take the chance to talk about what yummy things I’ve been eating. A couple of Sundays ago, I visited the Brisbane French Festival. I was heading off to a party afterwards, so I was good and didn’t indulge in crème brûlée, foie gras, crepes, cheese, saucisson or other yummy-looking treats that were on offer, though it all looked and smelled amazing. I wished I’d set aside more time over the weekend to spend some quality time eating and drinking at the festival because it had an amazing atmosphere and the weather was beautiful. 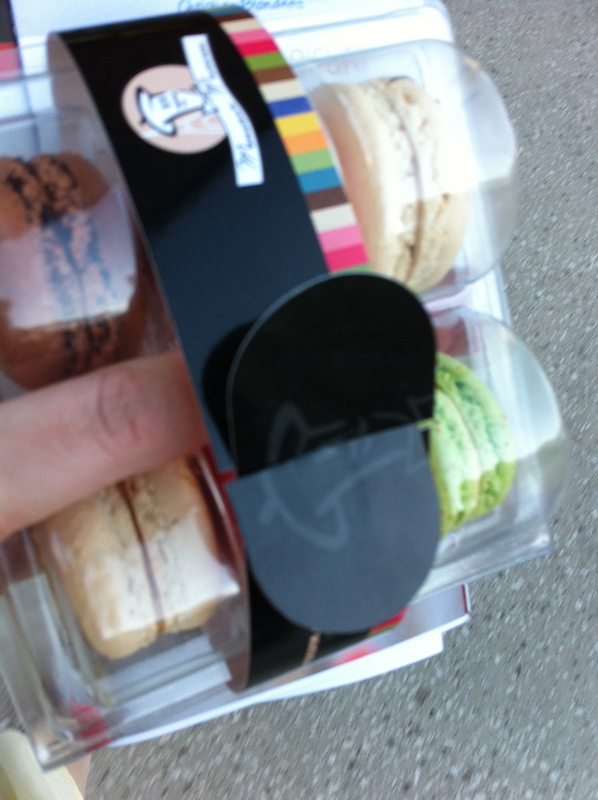 But I did have a nice time and managed to pick up a box of my favourite (and in my opinion, the best in Brisbane) macarons from Monsieur Macaron. I was pretty overjoyed that the mixed box included my two favourite flavours, Nutella and Pistachio. I’m also ashamed to say that while I intended to share… that didn’t actually happen. 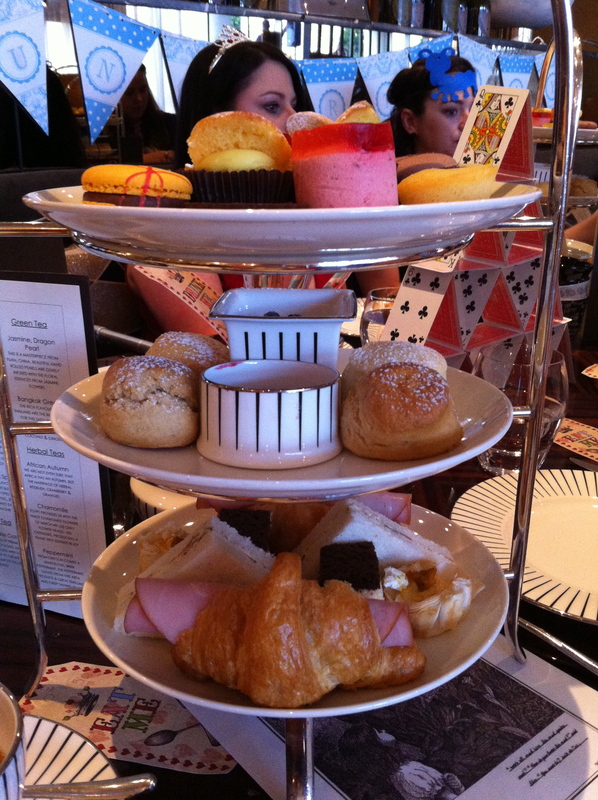 After the festival, I went to high tea at Bacchus for a friend’s birthday party. One of the girls had organised the tea and decorated our table with an Alice in Wonderland theme because the birthday girl really wanted a Mad Hatter’s tea party. 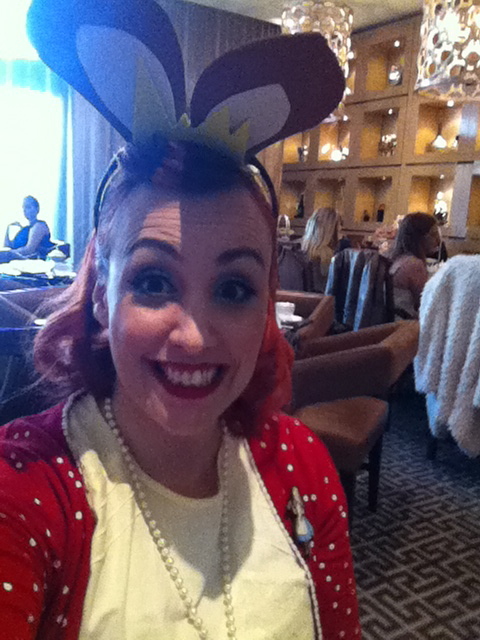 She even made us all head pieces so that we could play characters at the party! Everything at Bacchus was gorgeous; from the tea cups to the décor. The food was really good, though I was really disappointed with the sandwiches which had obviously been cut and presented hours earlier, judging by the dryness of the bread. The filling, smoked salmon and cream cheese, was divine, but let down by the bread. I was also surprised that the tea, though delicious, was bag tea in a teapot. Disappointments aside, the company made it a fun, enjoyable afternoon. 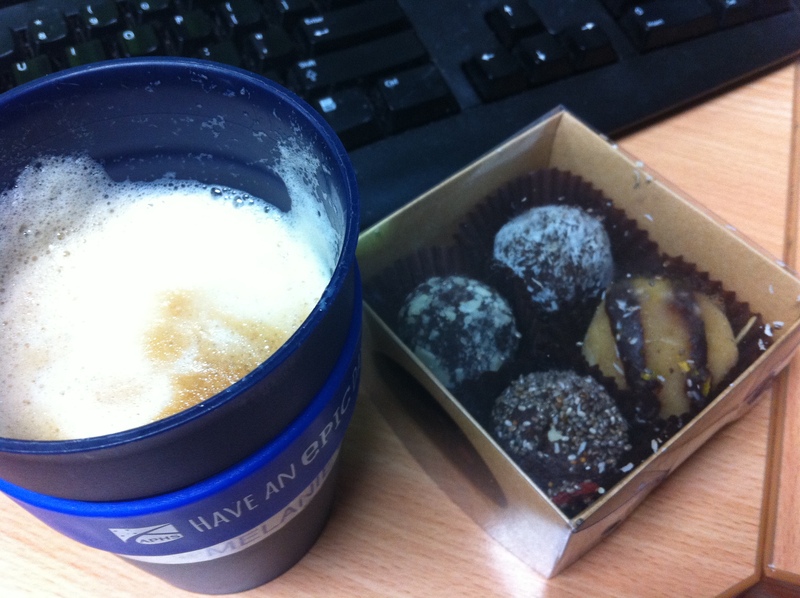 My last indulgence this week was some yummy bliss balls that my friend Miss B brought back from a weekend in Darwin. These came from Petra’s Raw Cakes. I’ve done some Facebook stalking and man alive, do the cakes that Petra makes look amazing. I’m not “into” the whole raw food/clean eating/quitting sugar thing (obviously), but that doesn’t mean I don’t think gluten, dairy, egg and sugar free treats can’t betasty. These definitely prove that it’s possible. Yum!